I’m working on getting back into goal writing. Like you it’s never really been my thing but it’s because I’ve been approaching them the wrong way so I will try again. Good to know you have recognized that. Thanks for reading! I knew we had some goals in common. I love how your list spans across all areas of your life too. I believe you’ll accomplish these too! ?❤? Thanks love! We can knock them out together! I love your list! We share quite a few goals, and I love your idea of revisiting every 15th of the month. I need to revisit my list more frequently! Yay! We need to get together so we can do some goal sharing! Yes! Maybe we can travel to some together! Goals are much better than resolutions. They give you something to aim for and to achieve, it gives you a purpose in life so you can prioritise. This is so true! I stopped doing NY resolutions a long time ago. One big life goal for next year is to gather more courage to do the things that frighten me more. If one chooses to go through life with trepidation, it’s so hard to do much! YES! Now all you have to do is identify those things and write them down! Good luck with your goals. I really need to start making some. I’d also like to travel more. Thanks for stopping by and the well wishes! You should definitely start traveling more, I absolutely LOVE it! I love this! Almost like a bucket list but more meaningful! My husband are all about “leaving an inheritance for our children”…it’s biblical and that’s one thing we are striving for. YES! Definitely biblical! I don’t want to leave this world with problems for my children to deal with! I absolutely love this!!! I’m making a vision board this week and really working to identify the goals and dreams that I want in my life.. Thanks I still have my vision board from 2013 that I am still working on getting everything accomplish, so I decided against making one this year. if its not resolution its Goals lol I think i need to make some for myself honestly and gaining some weigh will be on top of that list lol anyways hope you pursue all your goals! Thanks so much for stopping by and the well wishes! Hmm, in my life is an interesting idea when your older. I would like to visit Europe. I would like to kayak, sup and rock climb. I would love to grow a garden. Lol, the list could go on but I will leave it at this for now. Oohhhh Kayaking sounds fun! I think I will add that to my list too. I have found writing down my goals is so much more effective than just keeping it locked away in my mind. I work towards my goal more when I’ve written them down. But then,for me what makes it more adventure and fun is the discovery of what you can do, and what not, then make it happen ? When I started goal setting it was life changing! Currently, I have a list that can actually be waaaay more expansive; mostly because I only focused on what I wanted to do this year. Life list, here I come! I love your list. We do have a few similar goals. I’ve wanted to adopt since I was 10 years old. My plan is to open an account now to start saving for the expensive process. Also, I just visited the Niagara Falls last month and it was great. Just beware that it is very expensive there. Tax in Canada is 13% plus they have the promotional fee labeled as pf on your receipts. When you go ask to have the pf fee removed as its voluntary. These are great life goals! It makes me want to make a lost myself. I think having it written down makes it more meaningful vs just being in my head! I just made a vision board for my goals this year. I normally just write them down but I wanted to take the extra step of actually seeing my goals everyday, I keep it in my bedroom on the wall. My number one goal this year is to make enough income from blogging to stay at home with my newborn child. Life goal is definitely to own a house on the lake! I don’t have a life goal list but I do an annual list. This is a great way for me to focus. I’m guilty of having goals, but never physically writing them down. This year, I’m going to be more intentional. Love your list! I was right there with you about not writing my goals down. I’m definitely making an effort to write my goals down this year and can tell a difference all ready. It’s almost as if it’s not a real goal until you can see it written out in front of you. Great read! Hey Girl! 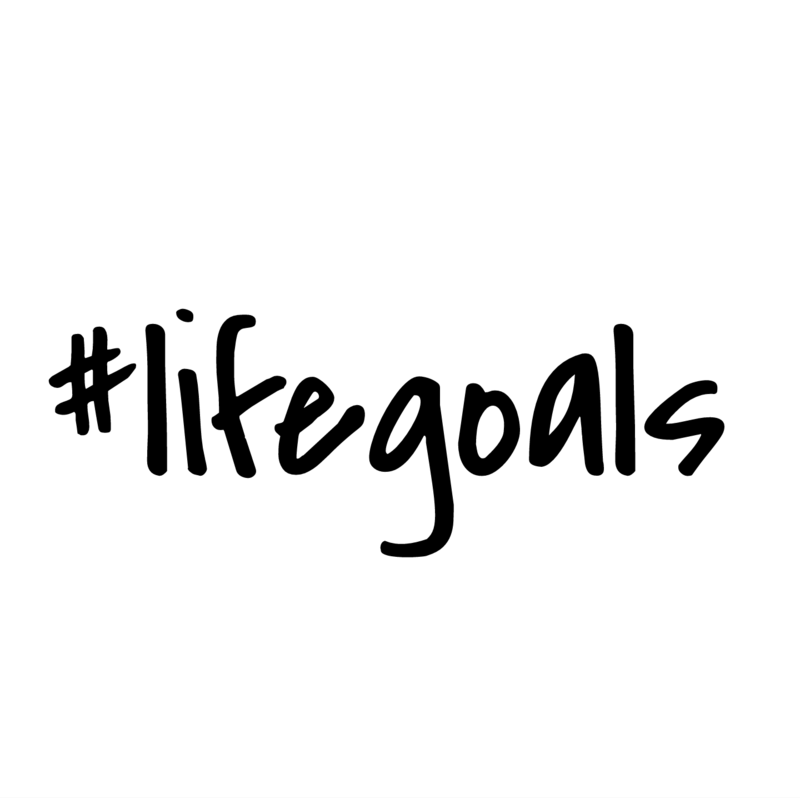 I love your little bucketlist of goals. I need to add some of them to my personal list because you have some really inspiring ones. Hope you can check off more of these in 2017! Many blessings. Hey Boo! Thanks for the blessings! Maybe we can get together and accomplish some together! I’m like you were, I don’t write my goals down, but I’m liking this idea! We def have goals in common such as having children, traveling. I like the idea of introducing someone to Christ that is outside of church as its about going outside the 4 walls of the church. This is pretty much what my vision board is in picture form instead of list of goals. I love your list! Goals are so important. I find when I get confused and don’t have a definitive one with certain things its like nothing gets accomplished. I don’t write them down but I keep saying I should make a vision board. Your list is a-w-e-s-o-m-e! I love how you are already on the path and crossing out things on your list. I wish you the best!